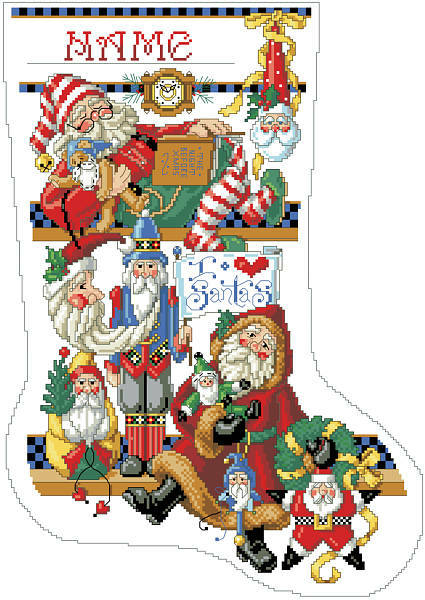 Bring a dose of holiday cheer to your shelves with this collection of santas, filled with tiny whimsical details to bring it to life. 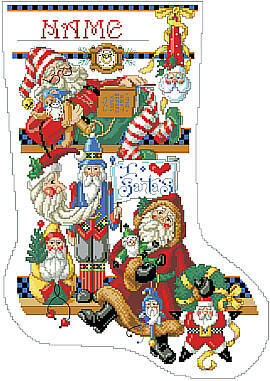 This stocking will be a family keepsake. Plus, personalize it with your little one's name so, come Christmas morning, they know where to find their holiday surprises. Contents: Stitch Count 149w X 217h, finished size on 14 ct, 10-3/4" X 15-1/2"